The Walkers--the animal family of travellers well-known to all the fans of “Travel Mosaic” series--were disappointed by the absence of the place in their town where the children of all ages and their parents could spend pleasant time together, so the whole family decided to arrange a perfect playground. But it turned out to be not as easy as they thought, so the Walkers have to do a lot and clean up the store shelves’ clutter to find all the necessary equipment. 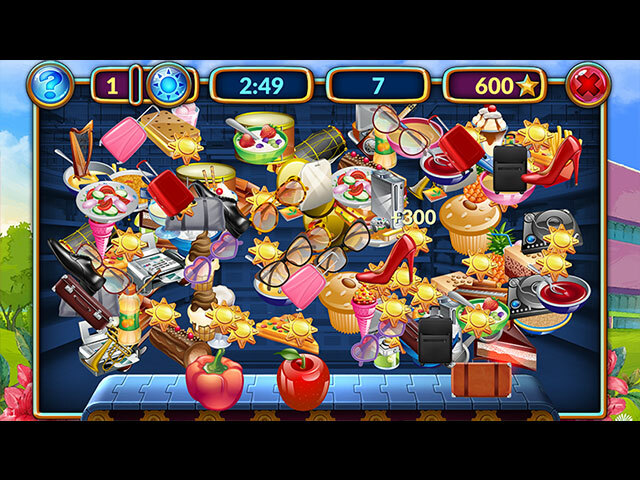 “Shopping Clutter: The Perfect Playground” includes 140 “clutter” puzzles where the player has to find the necessary objects in the mess. 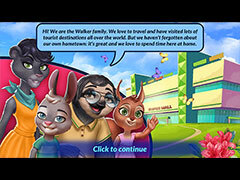 In addition, the patient and attentive players will get the access to 20 additional levels of different puzzles. 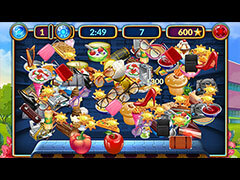 “Shopping Clutter” is an amazing, colorful brain-jogging game for players of all ages.